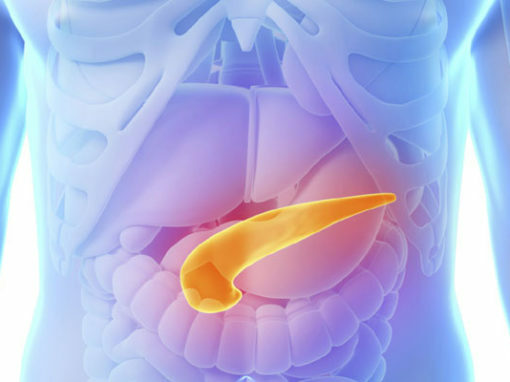 Acute pancreatitis is defined as the inflammation of the pancreas. This is due to autodigestion of the pancreatic parenchyma by the pancreatic enzymes from premature activation of the trypsin leading to activation of the other pancreatic enzymes. This result in liquefactive/fat necrosis of the pancreas. The cause of pancreatitis can be remembered with the acronym GETSMASHED. Drugs like (Diuretics, Didanosine, Azathioprine/6MP for IBD, Valproic acid (seziure treatment), Estrogen, Sulfa-derivative, Pentamidine) – Patient on treatment for IBD acute exacerbation can get pancreatitis. Hypercalcemia (increased Ca2+ activate the enzymes) also CNS disturbance if high Calcium. Rupture of posterior duodenal ulcer can irritate the pancreas and cause pancreatitis. Sometimes people can have Vitamin A,D,E,K, B12 deficiency, steatorrhea (if Pancreatic duct is blocked), Diabetic Mellitus as end complications of acute pancreatitis when the islet cell producing insulin is damaged. Note that Vitamin A D E K absorbed in small intestine with the dietary fats. Nausea and vomiting, Fever can be present. If severe (Hypotension with acute renal failure, Septic shock, ARDS (acute respiratory distress syndrome), DIC, Leuckocytosis, Rigid abdomen). Hypotension due to increase permeability of the vessels local and systemic due to endothelial damage, vasodilation and plasma leak into the retroperitoneum. Most accurate for diagnosis of acute pancreatitis and its complications – CT Scan abdomen. Hypocalcemia because the enzyme are used for saponification in fat necrosis of peripancreatic fat (massive calcification process) and also malabsorption of fat which bind Ca and hence less absorbed. Dystrophic calcification of the pancreas from pancreatic cell necrosis also occurs but we do not use saponification to describe the minor calcification as oppose to massive calcification (saponification) seen in fat necrosis of peripancreas fats. Extensive necrosis implies severe pancreatitis which is defined as > 30% necrosis. This needs antibiotic treatment with (Imipenem). Pancreatic enzyme leaked into the blood can cleave Coagulating enzymes to activate them (prothrombin cleaved by trypsin), can also cleave alveolar interface leading to diffuse alveolar injury hence ARDS (high risk if necrotic infected pancreas). Calcium and Magnesium should be replaced as appropriate. Admit to ICU for close surveillance. Pancreatic pseudocyst (2 – 4 weeks later) – can be infected (abscess), cause gastric outlet obstruction, hemorrhage into cyst, pancreatic ascites, fistula (pleural effusion), impinge abdomen organs or CBD (common bile duct) blockage if head of pancreas involved. Observe the patient pseudocyst if the size is < 5 cm, No Symptoms.